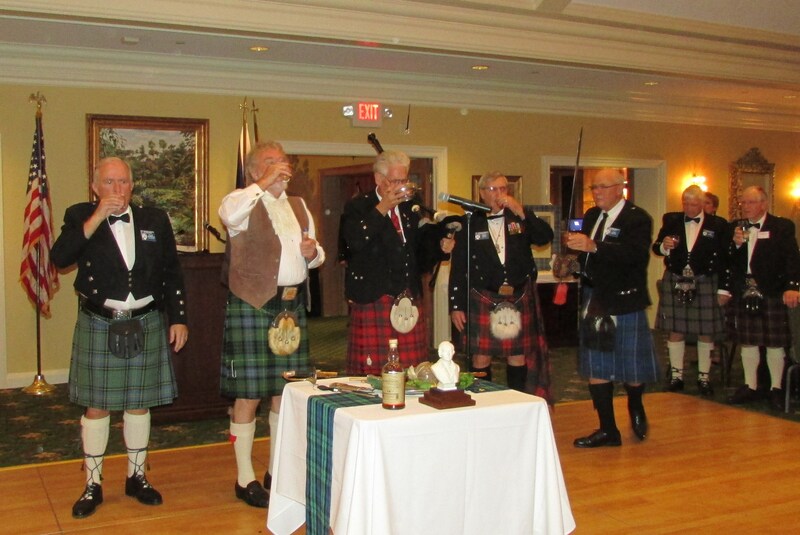 The St. Andrew Society of Sarasota and Burns Club of St. Andrew hosted their annual Burns Supper at the Laurel Oak Country Club on January 24th with 100 members and guests in attendance. 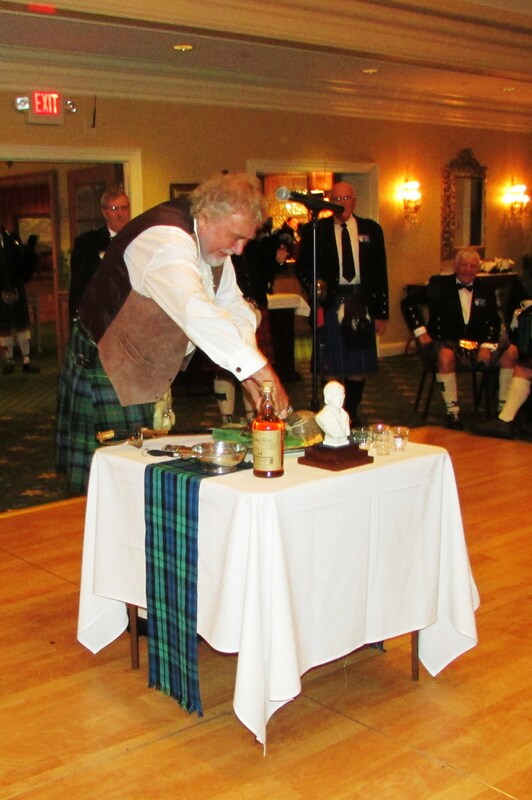 Andrew Gardner gave a rousing "Address to a Haggis" that set a festive mood for the evening! 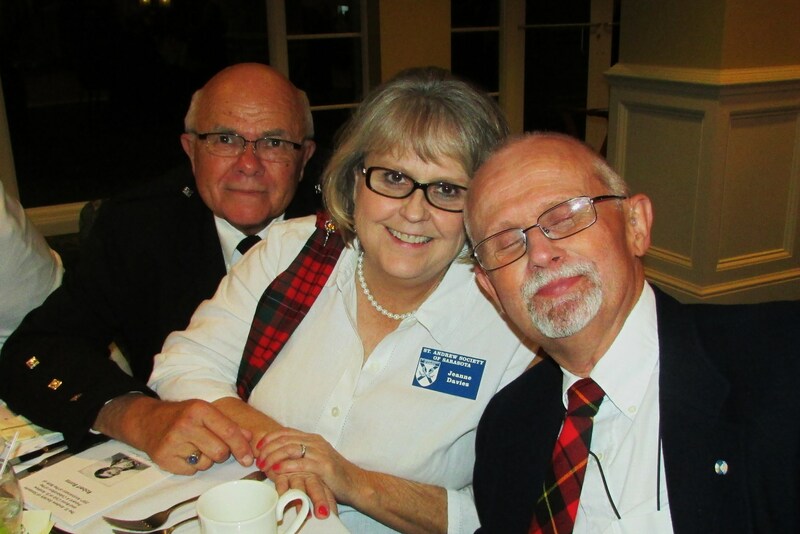 After a delicious meal May Crawley, Honorary President of the Robert Burns World Federation, offered greetings from the Federation and then shared selected verses of one of her favorite poems "Epistle to a Young Friend". Her husband Alex, also an Honorary President of the Federation, followed with an excellent Immortal Memory speech with just the right mix of humor and information. 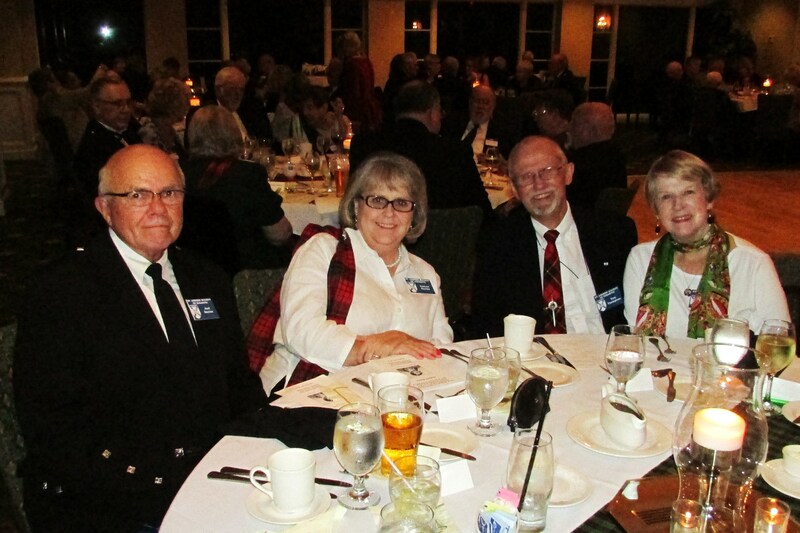 Dr. Bert Mitchel and his lovely wife Linda Prowten presented clever and humorous Toasts to the Lassies and Laddies. St. Andrew Society President Michael Wilcox read "A Soldier's Return" which was an emotional moment because Mike is a Vietnam Veteran and still has memories of his homecoming. The Sarasota Scottish Country Dancers presented 3 set dances and then we did some ceilidh dancing finishing up with the Gay Gordons. 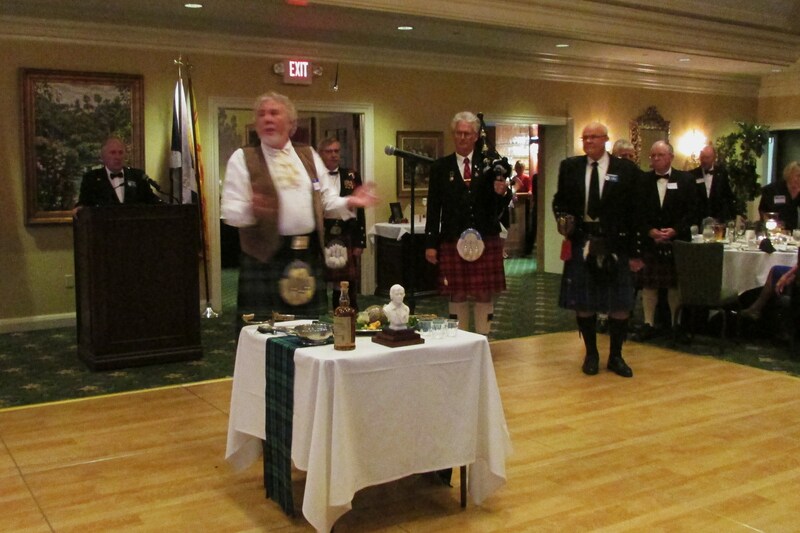 Past President Jim Martin anchored the program by reading one of his favorite poems "A Parcel of Rogues in the Nation". We closed the evening by singing Auld Lang Syne. 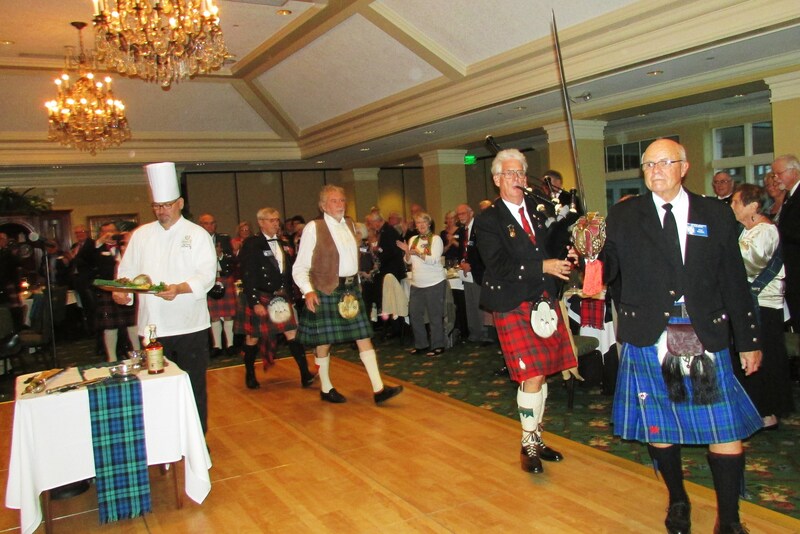 Everyone seemed to have a great time and we all look forward to Burns Supper 2016. If you are going to be in the Sarasota area next winter come and join us.